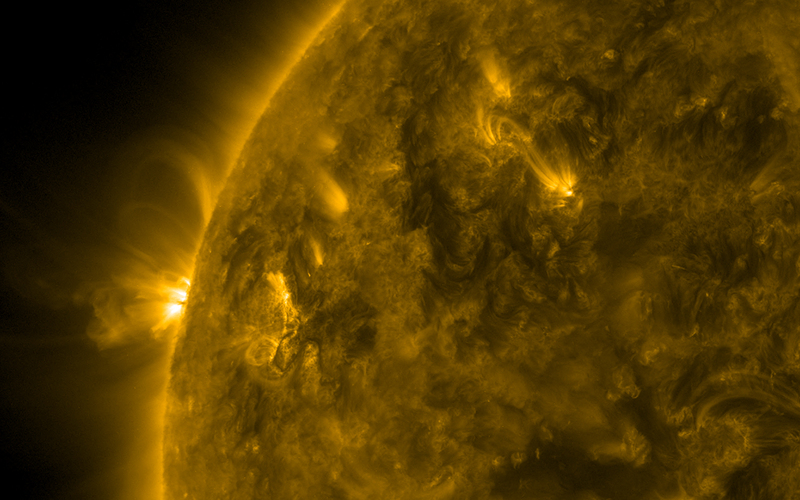 UC San Diego scientists review satellite observations of nearby Sun-like stars to estimate the strength of the next “grand minimum” period of diminished UV radiation. The cooldown would be the result of what scientists call a grand minimum, a periodic event during which the Sun’s magnetism diminishes, sunspots form infrequently, and less ultraviolet radiation makes it to the surface of the planet. Scientists believe that the event is triggered at irregular intervals by random fluctuations related to the Sun’s magnetic field. Scientists have used reconstructions based on geological and historical data to attribute a cold period in Europe in the mid-17th Century to such an event, named the “Maunder Minimum.” Temperatures were low enough to freeze the Thames River on a regular basis and freeze the Baltic Sea to such an extent that a Swedish army was able to invade Denmark in 1658 on foot by marching across the sea ice. There is a well-known 11-year cycle in which the Sun’s ultraviolet radiation peaks and declines as a result of sunspot activity. During a grand minimum, Lubin estimates that ultraviolet radiation diminishes an additional seven percent beyond the lowest point of that cycle. 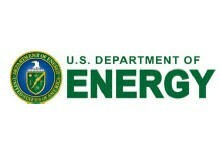 His team’s study, “Ultraviolet Flux Decrease Under a Grand Minimum from IUE Short-wavelength Observation of Solar Analogs,” appears in the publication Astrophysical Journal Letters and was funded by the state of California. Lubin and colleagues David Tytler and Carl Melis of UC San Diego’s Center for Astrophysics and Space Sciences arrived at their estimate of a grand minimum’s intensity by reviewing nearly 20 years of data gathered by the International Ultraviolet Explorer satellite mission. They compared radiation from stars that are analogous to the Sun and identified those that were experiencing minima. Interesting the note about in the Maunder minimum Europe froze while Alaska warmed. Now we’re seeing Alaska warming again, but Russia seems to be having a harder than usual winter, and perhaps Europe too? I just see news items about Paris and Moscow having record snow. From left, Berkeley Lab researchers Eric Dubinsky, Shi Wang (on left), and Neslihan Tas contributed to the Earth Microbiome Project. LBNL. ​In the Earth Microbiome Project, an extensive global team co-led by researchers at University of California San Diego, Pacific Northwest National Laboratory, University of Chicago and Argonne National Laboratory collected more than 27,000 samples from numerous, diverse environments around the globe. They analyzed the unique collections of microbes — the microbiomes — living in each sample to generate the first reference database of bacteria colonizing the planet. 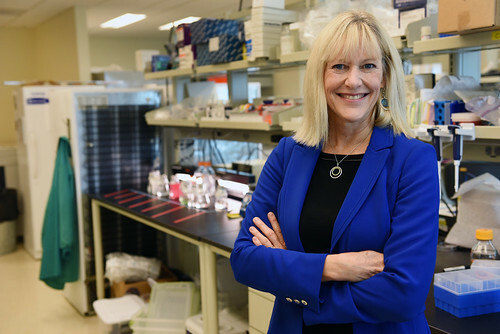 Thanks to newly standardized protocols, original analytical methods and open data-sharing, the project will continue to grow and improve as new data are added. For more about the Earth Microbiome Project, visit earthmicrobiome.org and follow @earthmicrobiome on Twitter. 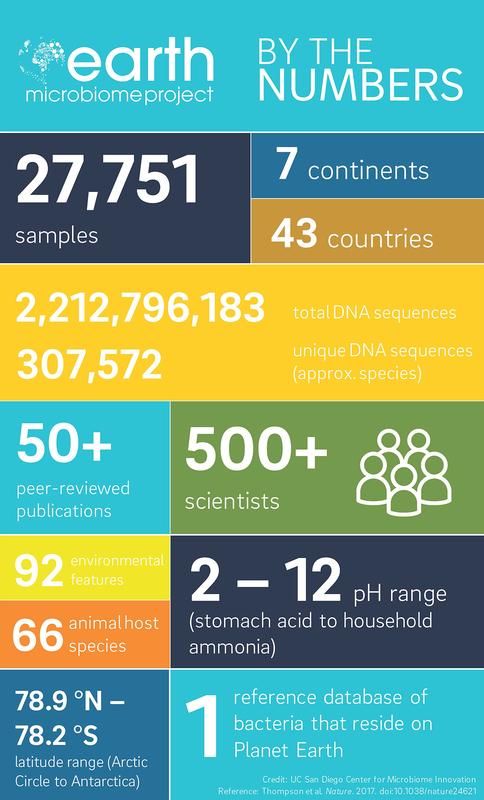 For the complete list of co-authors and institutions participating in the Earth Microbiome Project, view the full Nature paper . The project was funded, in part, by the John Templeton Foundation, W. M. Keck Foundation, Argonne National Laboratory, Australian Research Council, and Extreme Science and Engineering Discovery Environment, which is supported by National Science Foundation (ACI-1053575). One of the glove’s key components are soft robotic muscles. One key element in the gloves’ design is a type of soft robotic component called a McKibben muscle, essentially latex chambers covered with braided fibers. The muscles respond like springs to apply force when the user moves their fingers. The board controls the muscles by inflating and deflating them.The system involves three main components: a Leap Motion sensor that detects the position and movement of the user’s hands; a custom fluidic control board that controls the gloves’ movements; and soft robotic components in the glove that individually inflate or deflate to mimic the forces that the user would encounter in the VR environment. The system interacts with a computer that displays a virtual piano keyboard with a river and trees in the background. Tolley is a faculty member in the Contextual Robotics Institute at UC San Diego. Schulze is an adjust professor in computer science, where he teaches courses on VR. Researchers worked with neurosurgeons at Jacobs Medical Center at UC San Diego Health and Brigham Women’s Hospital in Boston to test their grid on four patients. The PEDOT:PSS electrode grid and a standard clinical electrode grid were compared side by side. In standard clinical recordings, the PEDOT:PSS electrode grid either performed similarly or slightly better than the standard electrode grid, recording with lower noise and higher resolution. Paper title: Development and Translation of PEDOT:PSS Microelectrodes for Intraoperative Monitoring, by Mehran Ganji*, Erik Kaestner*, John Hermiz*, Nick Rogers, Atsunori Tanaka, Daniel Cleary, Sang Heon Lee, Joseph Snider, Bob S. Carter, David Barba, Vikash Gilja, Eric Halgren and Shadi A. Dayeh at UC San Diego; Milan Halgren at Massachusetts General Hospital; Garth Rees Cosgrove and Sydney S. Cash at Brigham and Women’s Hospital, Boston, Massachusetts; and Ilke Uguz and George G. Malliaras at CMP-EMSE, Gardanne, France. Engineers at the University of California San Diego have developed the first soft robot that is capable of walking on rough surfaces, such as sand and pebbles. 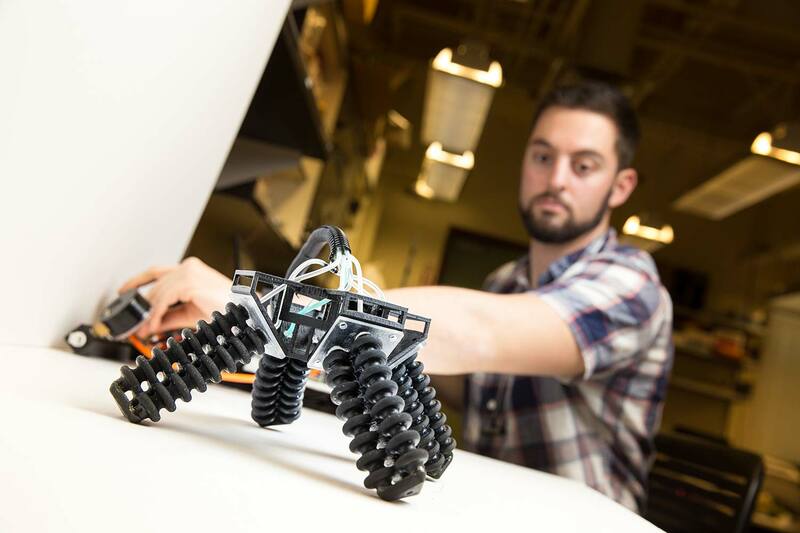 The 3D-printed, four-legged robot can climb over obstacles and walk on different terrains. This work is supported by the UC San Diego Frontiers of Innovation Scholarship Program and the Office of Naval Research grant number N000141712062.